In new version CCBoot 20180319 or higher, we have added function to compact the image in the CCBoot Server. 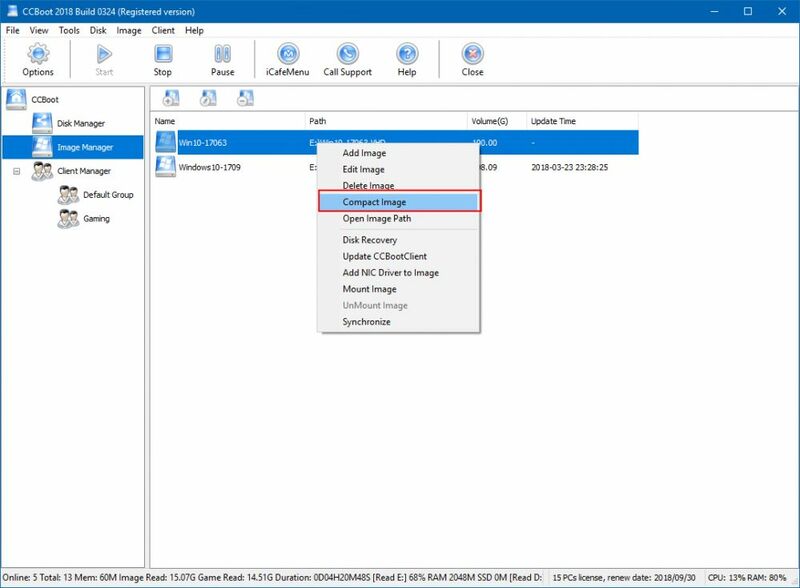 Simply, right click the image and click "Compact Image" and after few minutes the image will be smaller in size and occupy less space in your hard disk or SSD (Figure 1). Note: Before you try to compact the image, please make sure it does not have any recovery points. If it has any recovery points, then merge all the recovery points first.